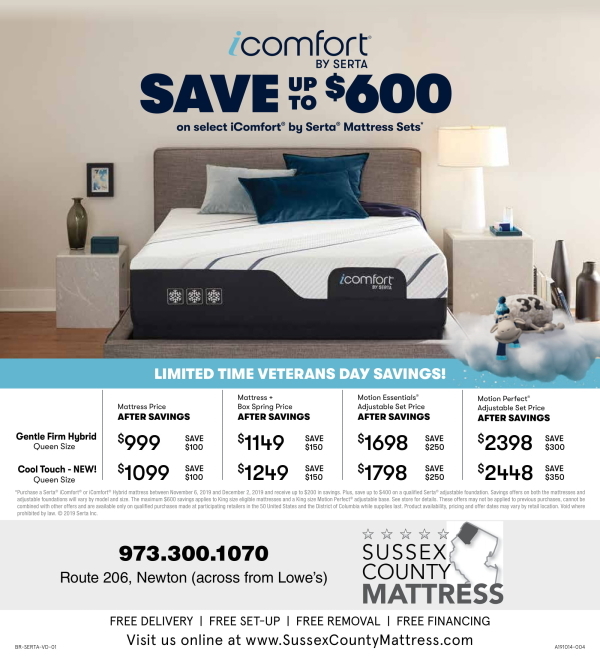 Sussex County Mattress - Sussex County's only family owned and operated mattress store. 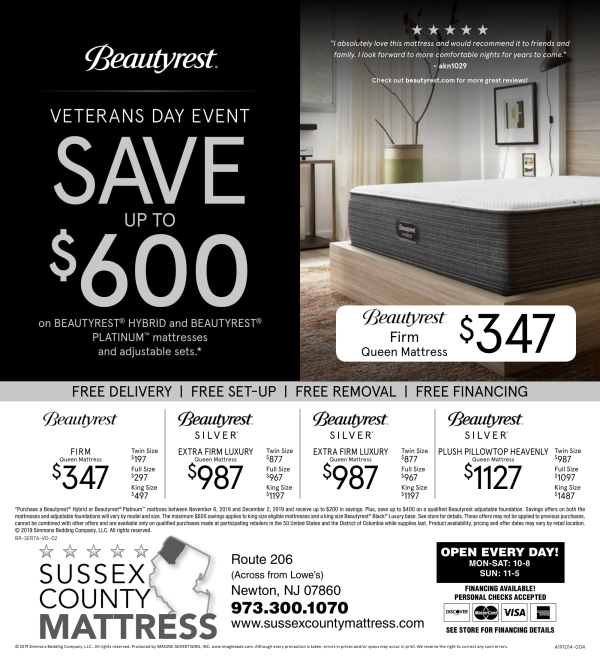 The best place to buy a mattress in Northern New Jersey.......just ask our customers! The area's only family-owned and operated mattress store! We offer a great selection of brand name mattresses at the guaranteed lowest prices...innerspring, memory foam and more, along with pillows, bedframes, headboards/beds and mattress protectors. Come on in, we are open every day! Up to 48 Months to Pay! Queen Mattresses from $297! Twin Mattresses from $149!